The story goes, Selina was the mum of our director, Margaret Duff, who taught her to bake cakes from a very young age. When we decided to incorporate a cafe at Calmababy, there was only one name we could choose – Selina’s was born! Customers often tell us, that the reason Selina’s is so welcoming, is because “children can be children here”. There is no need to try and keep your little ones at the table! They are free to roam, with your supervision of course, in and out of the play areas and garden, around the sofas and back again! We have a five-star food rating, and the food we serve is made fresh to order with quality produce, and our artisan cakes are handmade on site daily. Our menu offers breakfast (until 11 am), light bites, brunch, hot food, children’s meals, a selection of hot and cold drinks and snacks. Our children’s menu consists of grab-and-go pots for hungry children, hot meals, ready-made sandwiches and a variety of drinks, snacks, and confectionery. For children up until the age of two years old, you are welcome to bring pre-prepared food. However, we do ask that you purchase some items for yourself if you are using the facilities. All the cake we serve is handmade daily on site in our purpose built bakery using quality ingredients. We believe that our reputation for delicious cakes is unrivalled in the local area! For more information about the cakes we make, please see our cakes page. Selina’s café is open from 9am-6pm on weekdays, and from 9am-4pm on weekends. The kitchen is open for hot food orders every day from 9am-3pm. 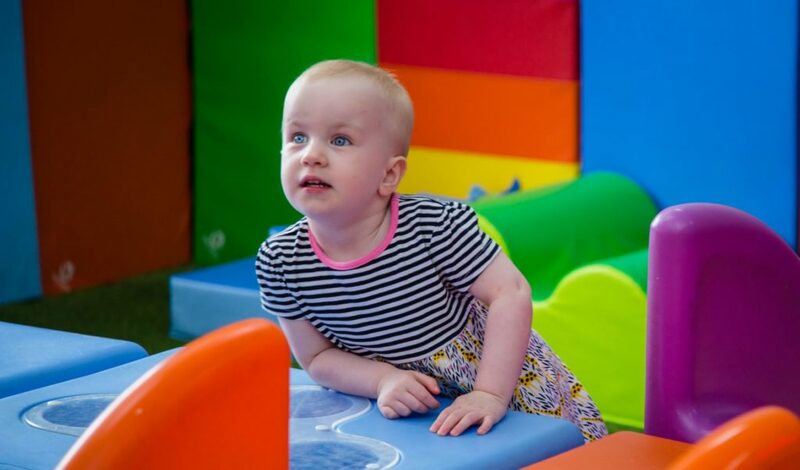 To keep your little ones amused we have two free play areas (suited to under 5’s only) – one indoor and one outdoor – so feel free to let them roam and have fun. Rose Landscapes kindly designed and donated our garden. It is a haven for toddlers and children to explore. Parents can watch them play, sit in the sunshine, and enjoy catching up with friends and family.